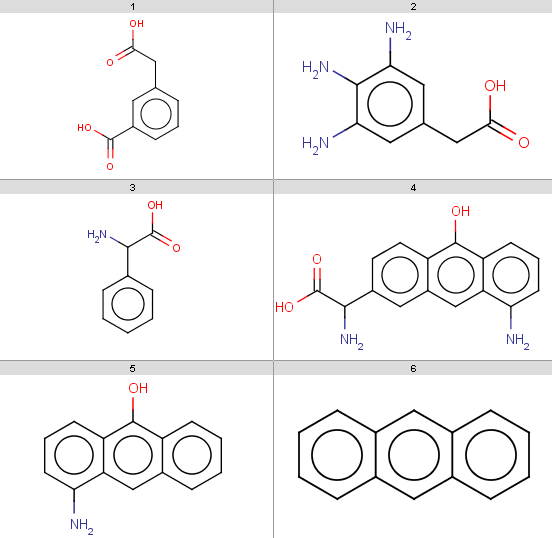 These examples show the application of ChemAxon's Chemical Terms in various ChemAxon products. 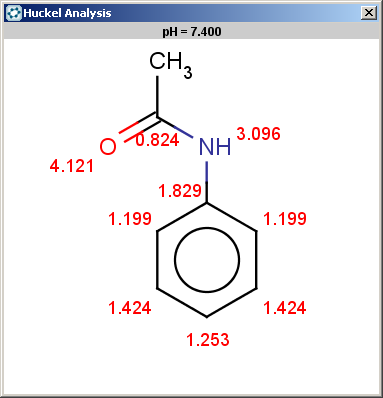 First we look at some basic examples showing chemical expressions formulated with input read from a molecule context, which applies to the Chemical Terms Evaluator command line tool and chemical expression evaluation and filtering in JChem Cartridge. Next we demonstrate the strength of the chemical terms language in formulating reaction rules, where input is taken from a reaction context. Finally we show how to select search hits by formulating search filters referring to a search context containing the target and query molecules together with the current search hit. Throughout the examples, use the set of Chemical Terms Reference Tables to look at the function and plugin calculation syntax together with some generic examples. The Java Virtual Machine version 1.4 or higher and Marvin / JChem have to be installed on your system. The PATH environment variable have to be set as described in the Installation Guide for Marvin Beans manual. 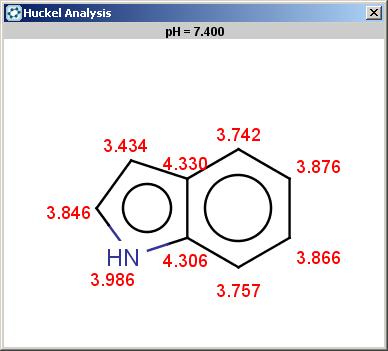 These examples refer to a molecule context and applies the Chemical Terms Evaluator command line tool and chemical expression evaluation and filtering in JChem Cartridge. 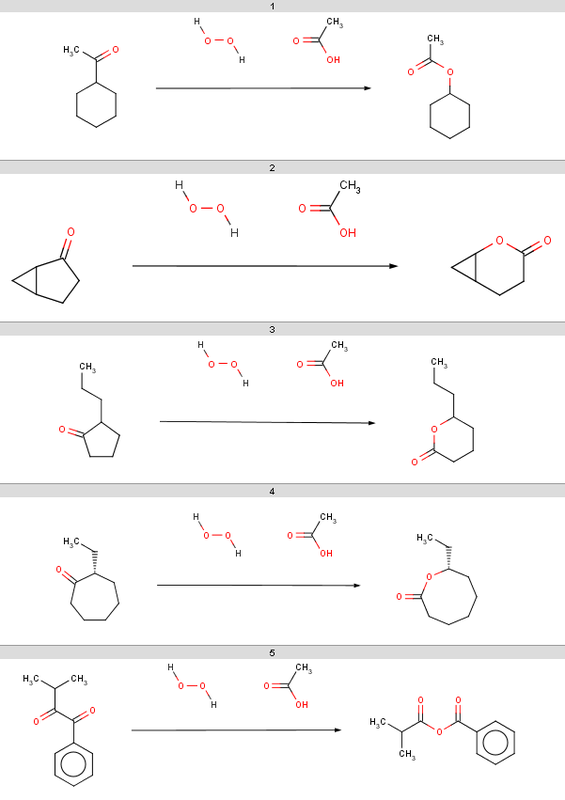 The working examples below use the evaluate tool but the same expressions can be used in JChem Cartridge as well. However, only boolean expressions (evaluated to true or false) can be used for setting a filtering condition. Now we start with some simple plugin calculations and proceed towards the exclude rule of the reaction. 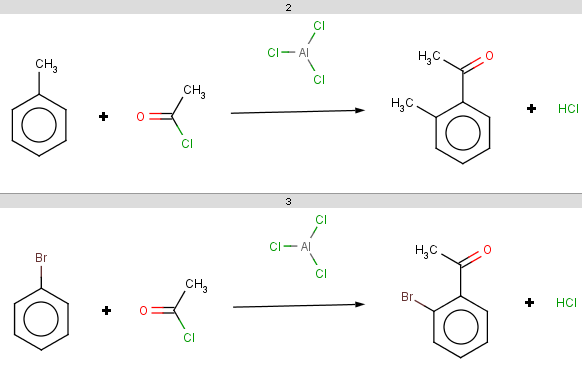 The first and last molecules are the same (benzene) because we will react benzene with two different acid-halides when processing the Friedel-Crafts acylation.This will be the first reactant set in the Friedel-Crafts acylation reaction in the Reaction examples section. Friedel Crafts acylation is the acylation of aromatic rings using an acyl halide in the presence of a strong Lewis acid catalyst. You can print the results of the other evaluations in the same way. There are other functions that compute a single numeric value for the input molecule, e.g. These functions compute the average molecular polarizability component based on the 3D geometry, the logP and the topological polar surface area, respectively. The corresponding Chemical Terms command line example is e.g. 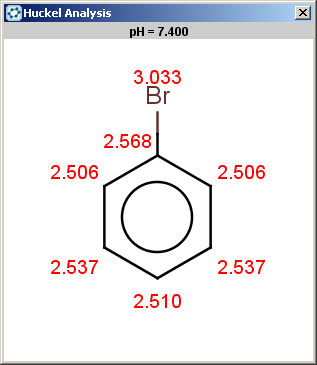 Another typical structure-based calculation parameter is the pH. 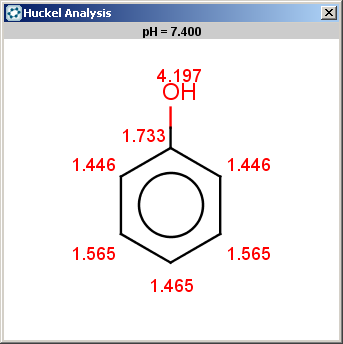 For some plugin calculations if the pH is specified, the plugin calculates with the physiological microspecies of the input molecule at the given pH, e.g. 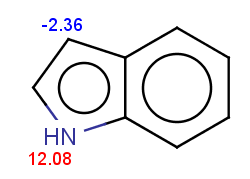 ,which differs from the results received for the input molecule itself for two molecules (compare with the non-parameterized PSA calculation example above). 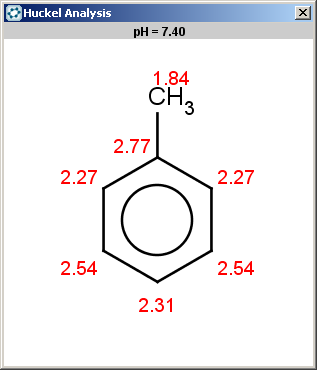 For logD the pH value simply means the pH where the logD is to be taken, e.g. match() tests substructure matching and returns true or false depending on the search result. matchCount() counts the search hits and returns this numerical result. Note that true is treated and displayed as a numerical 1 and false as a numerical 0. This is useful when you test a rule like bioavailability, where you require that at least a certain number of the specified conditions be satisfied. 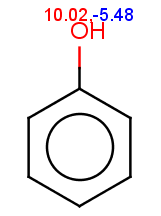 will test whether target atom 2 is a carboxylic oxygen. Note that the target atom index should be written in front of the query, while the query atom map(s) should follow the query. However, in most cases the target atom is not specified by explicitely writing an atom index, since we do not know the atom order in the target. Instead, the target atom usually comes from another context, such as ratom(i) or patom(i) from a reaction context or else a superior function iterates through all atoms and collects those that satisfy the match condition. The most typical example for such a function is the filter() function explained below. will test for matching both an OH or SH AND a nitrogen with at least one attached hydrogen. that is, there are four input molecules containing a nitrogen atom with an attached hydrogen, and all of these contain only one such atom. 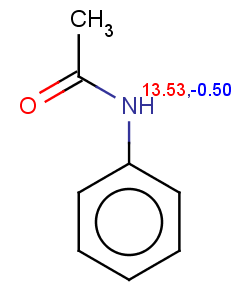 This condition tests whether the molecule contains a phosphorus with an attached hydrogen, or the maximum acidic pKa taken on an OH or SH is greater than 14.5, or the maximum basic pKa taken on nitrogen atoms with attached hydrogen is positive. Note that in logical expressions we put simpler calculations to the front to increase efficiency: if the first simple matching rule match("[#15][H]") is passed then there is no need to evaluate the other two with more complicated filtering and pKa calculation. It turns out that all of our input molecules satisfy Lipinski's rule. The reason is that its logD at pH=7.4 is too high: 4.05. Note that summing up the 7 subresults above means to count how many of them are satisfied. The requirement that this sum should be at least 6 means that we do not require all of the subconditions to be satisfed, but instead we allow at most one of them to fail. It turns out that all of our input molecules satisfy this bioavailability rule. It turns out that only our previous molecule failing lead-likeness passes this Ghose filter. 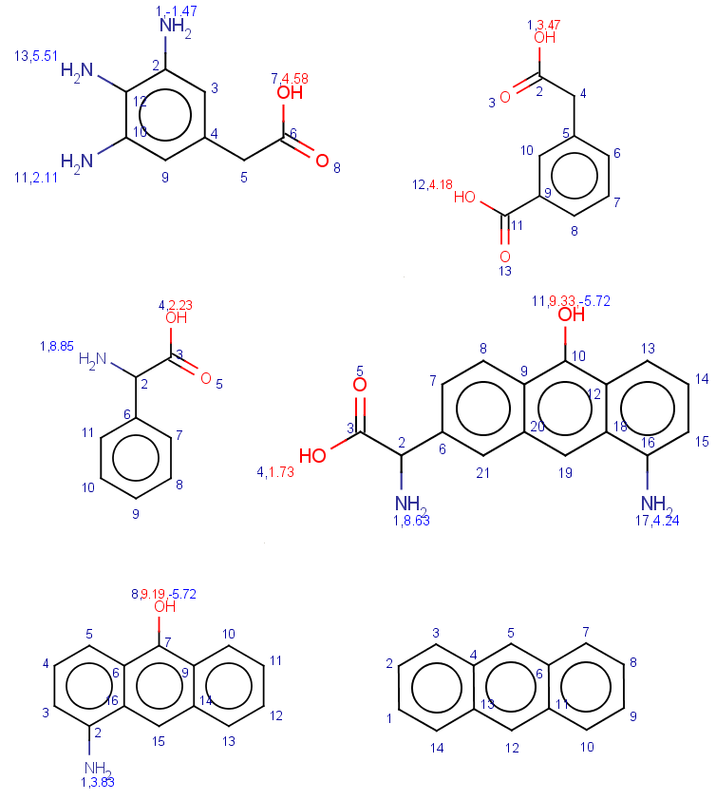 Note that molecule constants can be defined by a molecule file path or a SMILES string. Multiple expressions are separated by ';' characters, whitespace characters can be added freely for readability, since they are not considered by the evaluation process. 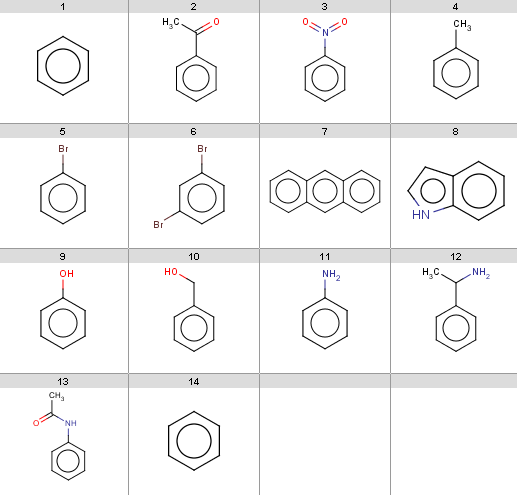 This condition tests whether the chemical and the pharmacophore dissimilarities between benzene and the input molecule are sufficiently far from each other, that is, the molecules should not be reasonably similar in pharmacophoric features but distant in chemical structure. It turns out that none of our input molecules satisfies this rule. Note that the default output is a 0-1 list representing true-false values for each input molecule. 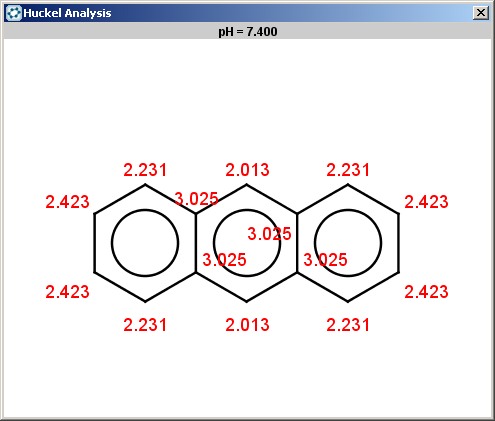 You should map your reactions according to ChemAxon's reaction mapping style to access reactant and product atoms by map matching. You can also use Structure/Mapping in MarvinSketch to use automatical mapping. Our first example is the Friedel-Crafts acylation, an electrophilic aromatic substitution reaction with acyl halides producing oxo compounds. 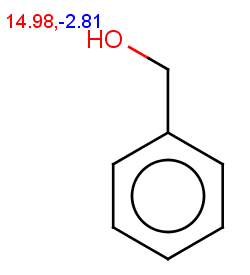 ,meaning that the aromatic system should be at least as activated as dihalobenzenes. 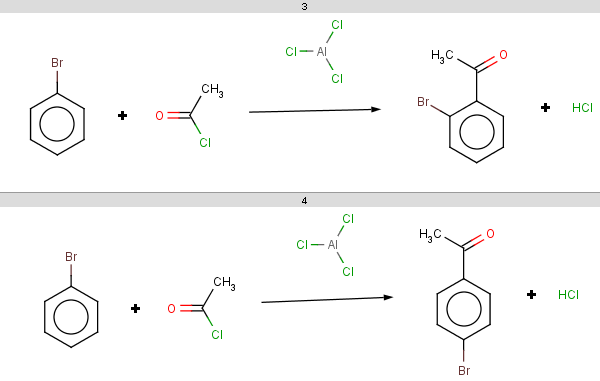 With this setting we change the default tolerance 0.0001 to accept other aromatic carbons having a similar localization energy with maximum difference 0.02 from the lowest value. Results will be sorted by this localization energy in ascending order, taking lowest first. The first reactant may not contain carboxylic acid group or its thio analogue. 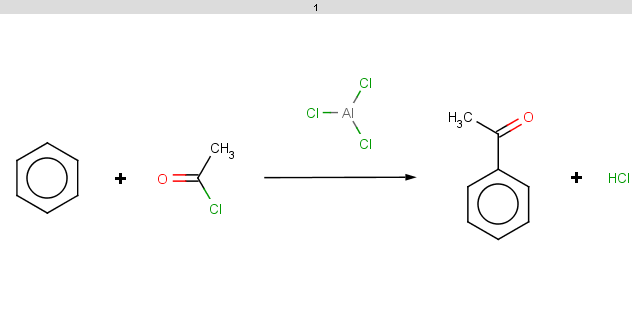 Exclude acryloyc halides as acylating agent. Exclude PH compounds, and aromatic compounds containing such nucleophilic groups wich can be acylated among these conditions (OH, SH compounds with higher pKa than 14.5, and NH compounds with higher pKb than 0). This is a more complicated, somewhat heuristical rule. You may want to have a look at a similar condition in the basic examples section referring to a molecule context. Note, that now our condition should explicitly refer to the input molecule as reactant(0), meaning the first reactant, while in a molecule context the expression implicitly refers to the input molecule. Note that we put simpler conditions first to increase efficiency. In the last two subexpressions, we use the filter function with a match filtering conditi to extract the relevant atoms for the pKa calculation. Finally, we take max of these values to test whether any of them exceeds a certain limit. 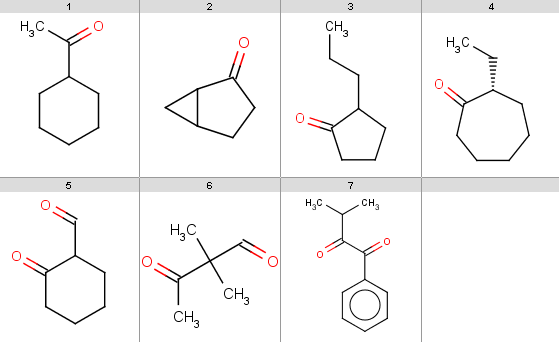 Refer to the Chemical Terms Reference Tables for ChemAxon's Chemical Terms function/plugin calculation calculation syntax summary and explanation. Now it is time to process this reaction on some reactants. We will process the reaction on 14 reactant pairs. The resulted reactions are stored in a result SMILES file. To analyze the results examine the reactant pairs one-by-one. Observe that the only rule referring the second reactant is the exclude rule stating that the acid-halide carbon should not be the acryloic-halide mapped carbon. 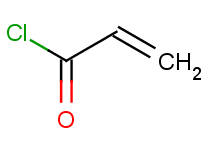 It follows that our first acid-halide, acetyl chloride is not excluded but our second acid halide, acryloyl chloride, obviously satisfies this condition and therefore the last reactant pair with benzene paired with this second acid-halide is excluded from the result. Now in the analyzation below, we examine the first reactant. 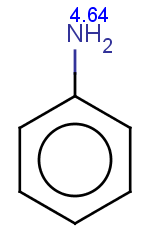 benzene satisfies the reactivity condition (sum of partial pi charges in the aromatic system). 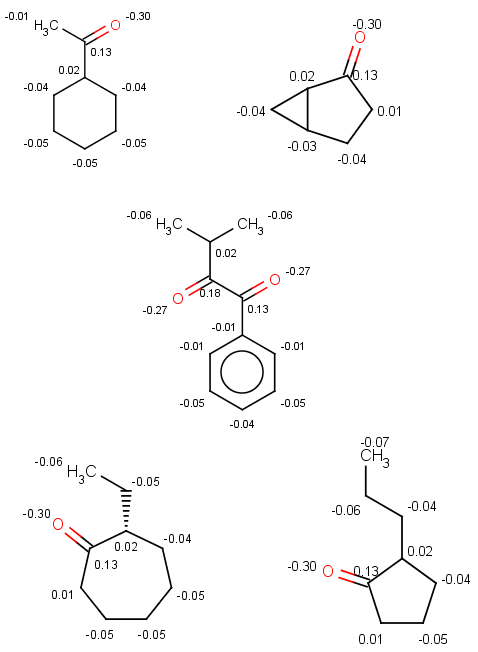 Observe that the selectivity rule does not play here since it evaluates to the same value because of molecule symmetry. 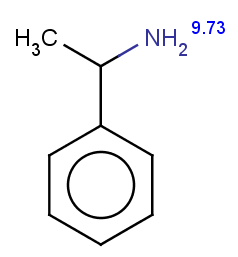 evaluate -p 3 -e "charge('aromaticsystem')" "CC(=O)c1ccccc1"
Now we see that the condition is not satisfied (-0.199 > -0.2). Since our selectivity rule says to take the minimal localization energy (the localization energy is multiplied by -1 to reverse the result order, that is to take the minimum instead of maximum), the ortho position is the best; the para position is also accepted because the corresponding value is within tolerance: 2.46-2.45 < 0.02 . 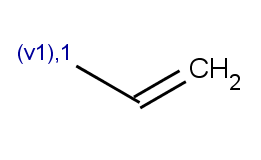 Our second example is the Baeyer-Villiger ketone oxidation, a ketone oxidation to an ester upon treatment with peroxy acids. This means that the oxygen goes between the carbonyl carbon and its neighbour with the biggest σ charge. Selectivity tolerance: we do not set the tolerance, therefore the default tolerance 0.0001 will be applied, which practically means that only the main product is accepted. We exclude reagents containing BH, NH, OH, SiH, PH or SH groups or aromatic N, S or sulfide, disulfide, sulfoxyde or sulfimide groups and we also exclude aldehydes producing carboxylic acids with these reagents. Refer to the Chemical Terms Reference Tables for ChemAxon's Chemical Terms function/plugin calculation syntax summary and explanation. You should note, that our 5th ketone does not react because it is a β-diketone and hence does not satisfy our reactivity criteria. 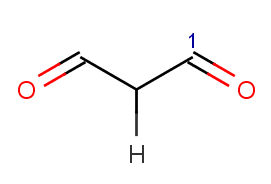 The 6th ketone is an α-diketone matching [H]C=O in our exclude rule, therefore that will not react either. The specific chemical reason is that these ketones produce anhydrides instead of undergoing oxidation. In this section we show some examples for search filters. These expressions filter targets, queries and/or search hits: the substructure search is performed only for target-query pairs satisfying the filtering condition, furthermore, search hits are filtered by the expression. jcsearch targets.smiles -q "[#8:1]C=O" -e "mass() > 170"
jcsearch targets.smiles -q "[#8:1]C=O" -e "mass() > 170 && ringCount() == 1"
jcsearch targets.smiles -q "[#8:1]C=O" -e "mass(query()) > 20"
jcsearch targets.smiles -q "[#7:1]" -e "mass(query()) > 20"
jcsearch targets.smiles -q "[#8:1]C=O" -e "charge(query(), m(1)) > -0.05"
jcsearch targets.smiles -q "[#7:1]" -e "charge(query(), m(1)) > -0.05"
jcsearch targets.smiles -q "[#7]" -e "charge(query(), 0) > -0.1"
You can also omit the atom map in the query. jcsearch targets.smiles -q "[#8:1]C=O" --allHits -e "pka(hm(1)) > 4"
Check these results by looking at the pKa values. jcsearch targets.smiles -q "[#7:1]" --allHits -e "pka(hm(1)) > 4"
jcsearch targets.smiles -q "[#8:1]C=O" --allHits -e "mass() > 170 && ringCount() == 1 && pka(hm(1)) > 4"
jcsearch targets.smiles -q "[#7:1]" --allHits -e "mass() > 170 && ringCount() == 1 && pka(hm(1)) > 4"
Note that both carboxylic hits are kept because these targets satisfy both conditions, while two nitrogen hits are filtered out, because one target fails to satisfy the mass condition, and the other one has 3 rings. Observe that we put simpler conditions to the front for efficiency: if the mass condition fails, then the others are not considered at all.